Finn (Anton Yelchin) lives with his mother Liz (Diane Lane), a masseuse with a drug problem and dreams of going to South America to meet his father for the first time – an anthropologist working with a native tribe. But when Liz’ circumstances become worse, Finn finds himself relocated with her to the estate of Ogden C. Osborne (Donald Sutherland), a rich client of Liz’ who has taken a shine to her. Finn finds companionship with Ogden’s grandchildren Maya (Kristen Stewart) and Bryce (Chris Evans). Faced with a world entirely unlike the one Finn grew up in – the world of the super-rich – he turns his anthropological interest to them. Watching Fierce People is a bit like being the proverbial boiled frog: it’s consistently awful, but the degree of awfulness is slowly turned up, so you barely realize how absolutely terrifyingly awful it really is until it’s over and you’ve watched it all. A small town in Montana. Here, Laura (Laura Dern) works as a lawyer, currently busy with her client Fuller (Jared Harris) who has trouble accepting an offer for worker’s compensation. Not far from Laura, Gina (Michelle Williams) and Ryan (James Le Gros) are working on their dream home. Gina has her heart set on some stones that go to waste in a neighbor’s garden, but they’ll have to convince the neighbor to part with them. 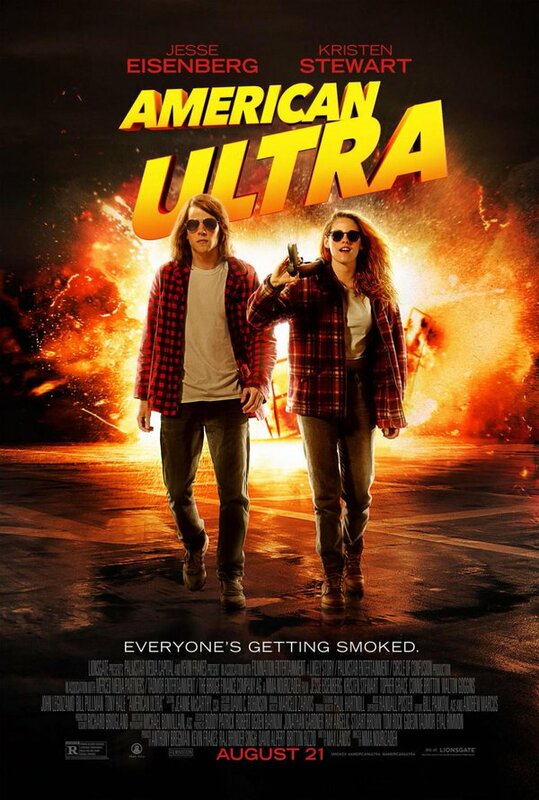 Meanwhile, a young rancher (Lily Gladstone) who stumbles into night school classes out of curiosity finds herself in front of a new teacher, Elizabeth (Kristen Stewart) and feels immediately drawn to her. 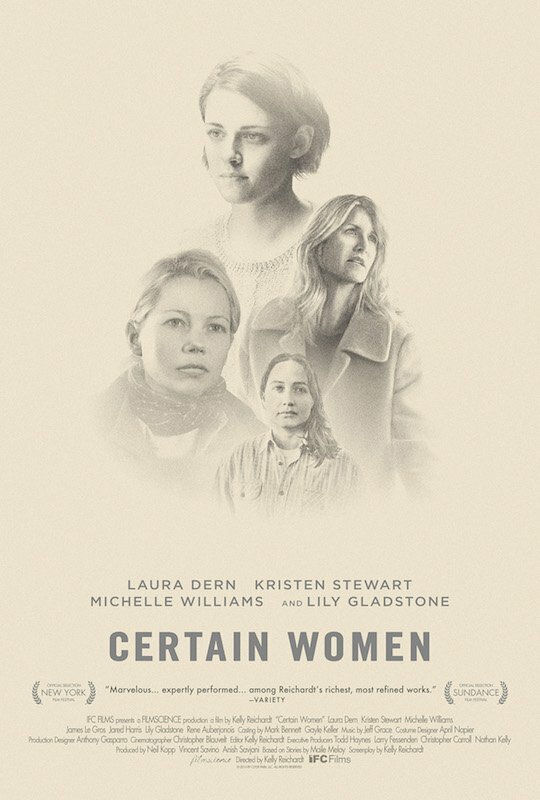 By now I’ve seen quite a few Reichardt movies, but Certain Women is the first one where I can say that I actually really liked it. Especially the last segment in this episodic film stole my heart. Maureen (Kristen Stewart) works as a personal shopper for celebrity Kyra (Nora von Waldstätten) in Paris. It’s not necessarily her dream job, but she has to finance her life in Paris and she can’t leave Paris, until she has made contact with her recently deceased twin brother – and she is convinced she will make that contact, even if it is taking longer than usual. She is a medium after all. But as time passes and nothing happens, Maureen starts to consider leaving anyway. That’s when she starts to receive texts from an unknown sender who knows a lot about her. 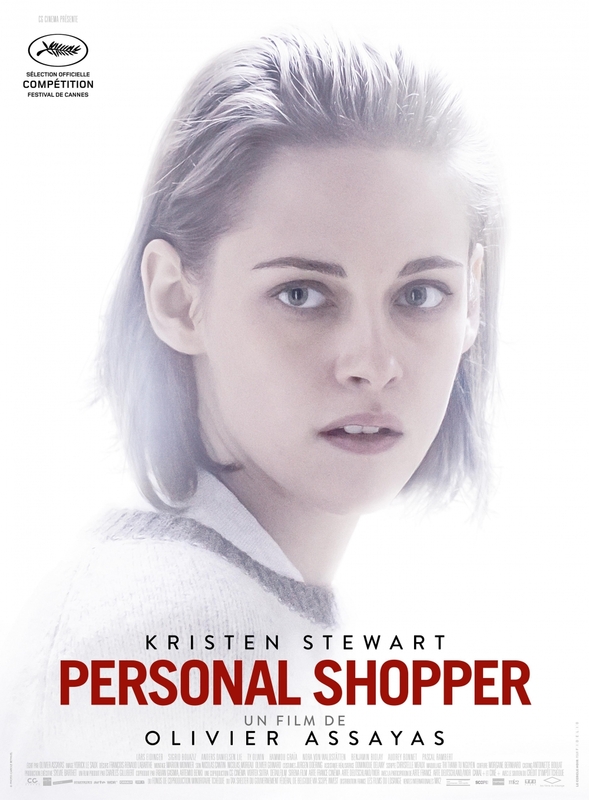 Personal Shopper has a lot to offer and took me by surprise a couple of times. But then the plot moves in a direction that I didn’t particularly care for, which ultimately kept the film from going all the way into “wow” territory. 20 years ago, Maria Enders (Juliette Binoche) became a famous actress for her part in the play Maloja Snake, in which she played Sigrid, a young woman who seduces the older Helena. Now Maria is on her way to receive an award on behalf of the writer and director of the play. But before she arrives, she is informed that he passed away. Maria is shocked by the news. In that vulnerable state, her assistant Valentine (Kristen Stewart) tells Maria that up and coming director Klaus Diesterweg (Lars Eidinger) would like to remake Maloja Snake – with Maria as Helena and Hollywood starlet Jo-Ann Ellis (Chloë Grace Moretz) as Sigrid. Despite her trepidations about the role, Maria accepts the offer. 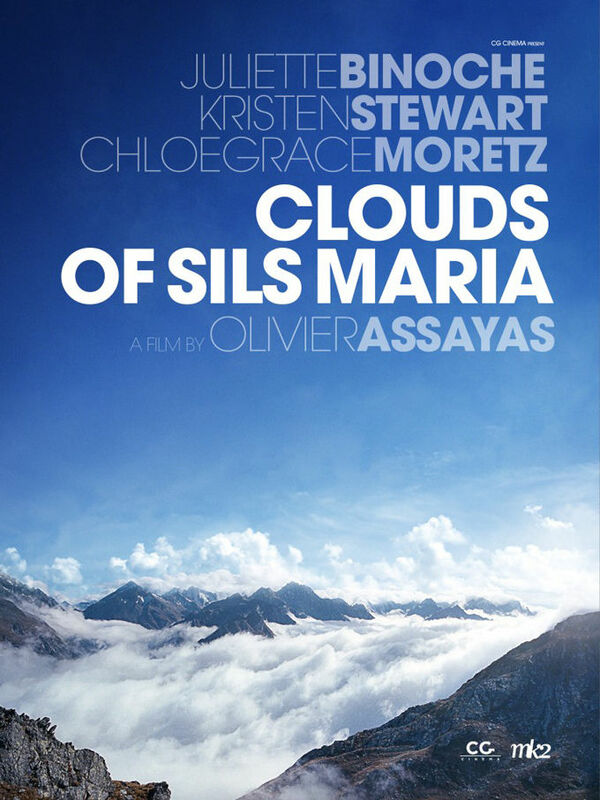 Clouds of Sils Maria was absolutely fantastic, if slightly long. 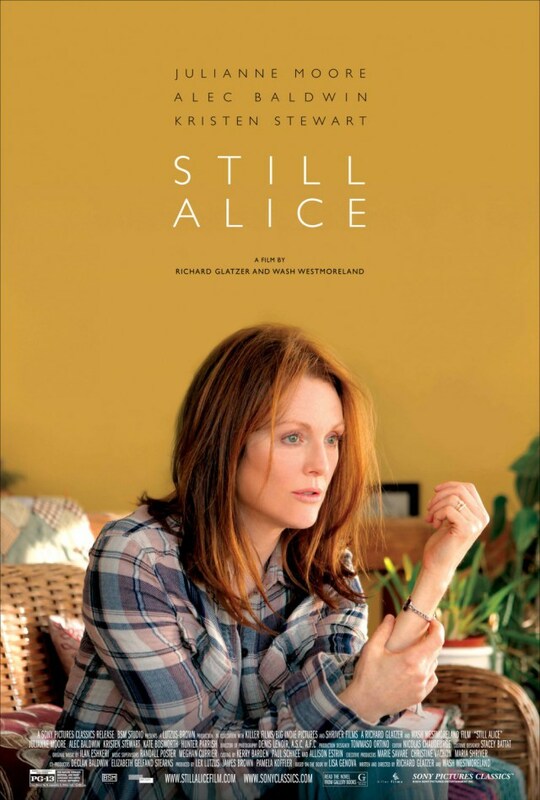 It was interesting, intelligent, beautifully shot and above all, wonderfully acted. Bella (Kristen Stewart) survived the birth of her daughter Renesmee (Mackenzie Foy) and is quickly adapting to having become a vampire like Edward (Robert Pattinson). But the arrival of a half-human, half-vampire child causes quite a few ripples in the vampire community. And when the Volturi hear about it, they believe that Bella and Edward turned a human child into a vampire – a capital offense they will make sure will be punished. Well, it is over. I think that is about the best one can say about this. But they manage to have basically nothing happen in the movie at all (though they did force some action in, and quite cleverly I might add) and to not resolve anything, really. And I think that if you haven’t read the books, the whole thing only makes a limited amount of sense. At least, with 3/4 of a rum bottle I shared with C. during the film, it was quite entertaining. 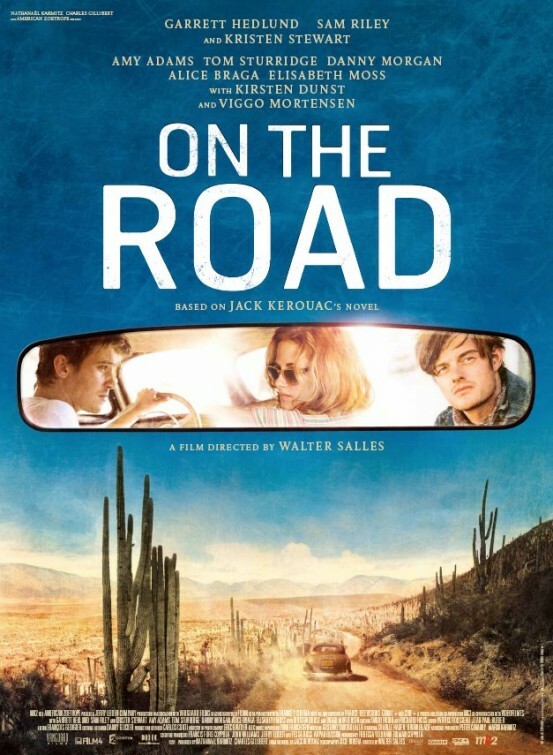 After his father’s death, Sal (Sam Riley) decides to go on a road trip to visit his new friend Dean (Garrett Hedlund) and his girlfriend Marylou (Kristen Stewart). Together they hook up with some old friends in around the USA. Sal is fascinated with Dean’s energy and joie de vivre. For a while, Sal travels alone, then he travels together with Dean and other people, always looking for the next party and the next kick. After the book, I wasn’t too enthusiastic about watching the film but I thought that with the lengths the book had, the shortenings necessary for a movie script might improve the whole thing. But if anything the movie was even more boring. 10 years ago, Ravenna (Charlize Theron) killed the good king, imprisoned his daughter Snow White (Kristen Stewart) and took over the kingdom with her evil magic. But now that Snow White turned 18, she managed to escape her imprisonment. 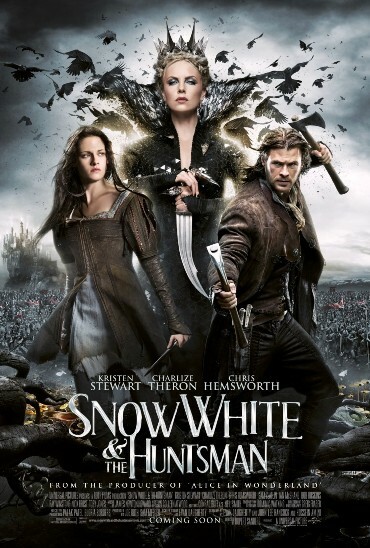 Since Ravenna desperately needs Snow White’s youth and beauty for her own magic, she sends the Huntsman (Chris Hemsworth) after her. But soon he rather joins Snow White in her fight against Ravenna. Snow White and the Huntsman is the kind of film that opens with an apple tree in full bloom and ripe apples at the same time which tells you everything you need to know about the film: it puts style so high over substance that it leaves all logic far, far behind. Which would have been okay, if it wasn’t also incredibly boring.